If you’re unfamiliar with free radicals, it’s about time you get acquainted. In the world of skincare, they’re a nasty thing and a primary cause of early skin-ageing and dehydration. You may have seen skincare products that claim to protect against free radicals but what are they and what can we do to stay protected? Absolutely everything that surrounds us is made up of molecules, from the air we breathe, to the water we drink, to our human selves. Molecules are made up of atoms which are composed of two electrons but if a molecule is made up of atoms with a missing electron, it’s known as a free radical. These free radicals then go on a hunt to replace their missing electron by grabbing them from other healthy molecules. This process is responsible for fading paint, degradation of food or most importantly, tissue damage including the breakdown of healthy skin cells. We are exposed to free radicals almost constantly and they’re also a natural by-product of oxidation. However, the excessive stress they cause to our skin mostly comes from exposure to pollution, dust, cigarette smoke and the sun. Why are free radicals so bad for my skin? Free radicals are the primary cause of premature ageing of the skin. As these free radicals take electrons from healthy molecules, they damage our skin cells, limit collagen production, and cause serious dehydration. This appears in many forms, including weakening and sagging of the skin, wrinkles and the development of brown spots. How can I protect against free radicals? Keeping away from the sun, or highly polluted areas is definitely important for decreasing your risk of skin damage. But luckily, nature has also blessed us with a powerful antidote to free radicals - antioxidants. Antioxidants essentially donate electrons to neutralise free radicals and in turn help us to maintain firm, hydrated and youthful skin. They’ve even been proven to reverse damage by increasing skin cell function, improving collagen production and accelerating correction of brown spots and imperfections. Whilst our body does naturally produce antioxidants, getting them into our diet and skincare is incredibly important to prevent cell damage and keeping our skin looking younger for longer. Which skincare products can I use to fight the effects of free radicals? 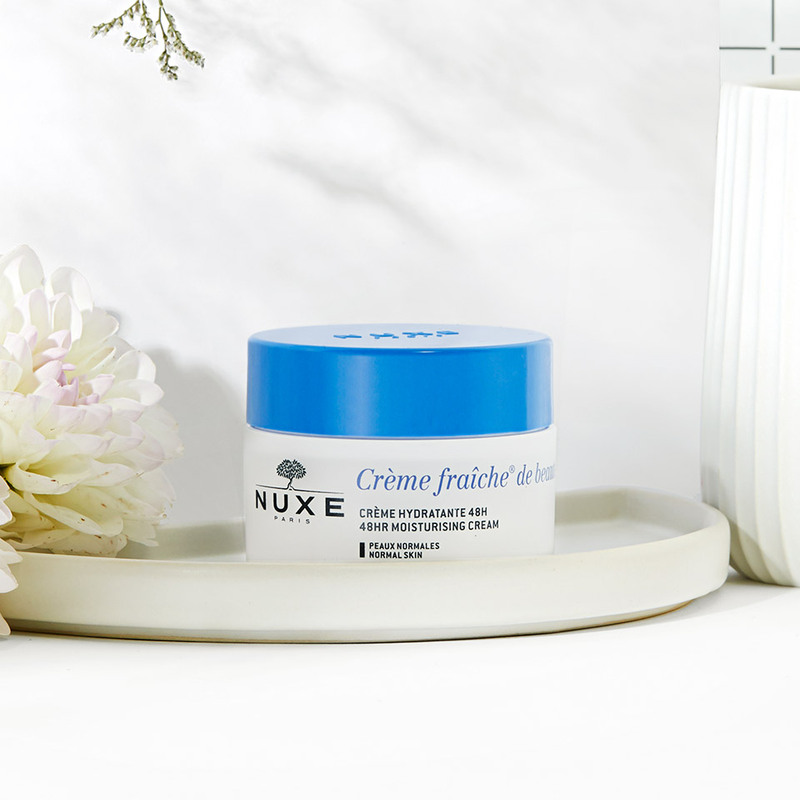 NUXE have many anti-pollution skincare products that are designed to protect your skin from free radicals. 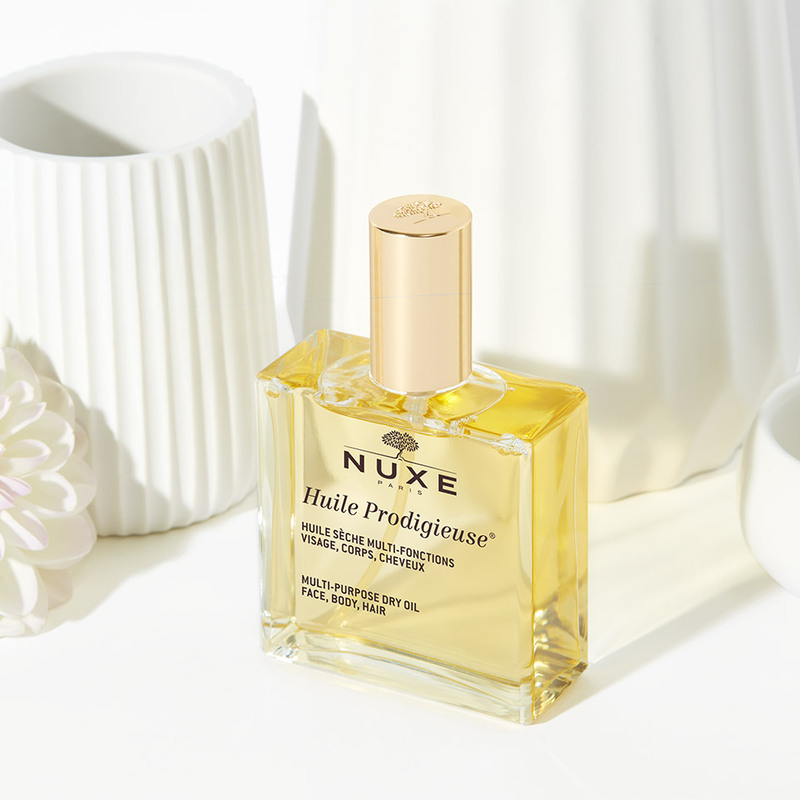 Our cult dry oil, Huile Prodigieuse is enriched with 7 precious botanical oils which are packed with antioxidants. It can be massaged into the face, neck, hair and body to provide protection from 90%* of free radicals. *Antioxidant efficacy proved by in vitro test : 1 drop of Huile Prodigieuse is enough to neutralize 90% of free radicals under the conditions of the test. Our Anti-pollution Creme Fraiche® range of moisturisers has been especially formulated to protect the skin from the damaging effects of pollution. It contains 7 plant mills with a powerful high-tech algae extract to provide 48-hour** hydration of the skin, supporting the skin’s protective barrier. There’s a moisturising product to support every skin type from our classic Crème fraîche® de beauté moisturising cream, to our formula for very dry skin and moisturising fluid for oilier complexions. For an extra boost of hydration and protection - try our Moisturising Serum Crème fraîche® de beauté or our Moisturising Mask Crème fraîche® de Beauté. Getting plenty of antioxidant foods into your diet is also a great way to combat the effects of free radicals. Look for foods rich in Vitamin A, C and E. Foods high in Vitamin A include colourful vegetables and leafy greens such as carrots, sweet potato, squash, spinach and kale whilst Vitamin C can be found in other vegetables such as broccoli, sprouts and cauliflower. Get your fill of Vitamin E by eating lots of nuts, seeds and oils. Find the right products to help fight against free radicals with anti-pollution skincare on the NUXE site.